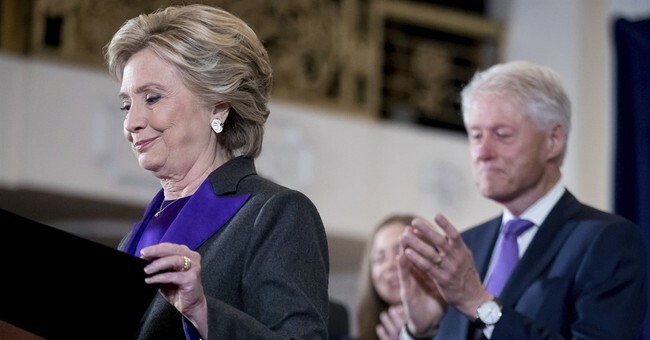 The media have made much ado about the absence of a real Trump organization on the ground in the states, but has largely failed to interrogate the hype around the Clinton campaign’s ground operations. As the post-election day hangover wears off, an examination of the mechanics behind the Clinton’s get out the vote efforts ? reaching out to Clinton voters in key states at the door, on the phone or by text messages ? reveals evidence of what appears to be a pretty shocking truth. Clinton volunteers were inadvertently turning out Trump voters. Possibly in significant numbers. Volunteers for the Clinton campaign in Pennsylvania, Ohio and North Carolina have reported that when reminding people to vote, they encountered a significant number of Trump voters. Anecdotal evidence points to anywhere from five to 25 percent of contacts were inadvertently targeted to Trump supporters. This is a big deal because when voters are engaged by a volunteer they are significantly more likely to cast a ballot in an election. To make matters worse, because Republicans had a non-existent ground game in many areas this cycle, this powerful reminder from a Clinton volunteer to get out and vote might have been the only personalized GOTV communication these Trump voters received. The campaign’s text messaging GOTV effort may have been the worst offender. Volunteers reported as many as 30% of the replies they received from voters they were urging to get out were Trump supporters. In small organizing, a campaign invests in a “big data” approach to narrow the number of people that must be engaged. They do this usually by engaging an expensive consulting firm that relies on predictive modeling, micro targeting, and message testing and segmentation to design a get out the vote program that staff and volunteers then execute. Big organizing is how the Bernie Sanders campaign and other grassroots focused efforts tackle turn out. Instead of using technology to guess at who should be mobilized on Election Day, Bernie mobilized hundreds of thousands of volunteers to build a voter contact machine that could call, text or knock on the door of voters and identify who was for Bernie, who was against him and who was undecided. This was done in the months before Election Day so that during the crucial week of GOTV prior to voting, volunteers were contacting voters they had affirmatively identified as supporting the campaign, not voters an expensive stable of consultants guessed would be for the candidate. It’s not a stretch to say that the big data on the left totally missed the large swath of white working class voters, which were lowballed by 10 million from 2012 estimates, meaning that a pool of millions of voters from a three-fourths majority white electorate were not considered. Just a fraction of that number is enough to swing an election. Moreover, when you have a sucky candidate, like Clinton, whom either can’t get the typical Democratic cohorts animated, or when those very people who supported Obama flip, you’re in for a rough night. And that’s exactly what happened. Trump was flawed, yes—but he was able to flip voters and get those who have never voted before energized. They stuck with him. He was not a politician. And the white working class finally said 'enough,' pushed the establishment off the stool, flipped over the table, and said we’re going to start over. They are, however, swing voters—and there will be defections a la Obama should Trump fail to deliver what he’s promised this campaign. For now, mark this on the list of Clinton screw-ups: their ground game was extensive, but a mess. The Republican National Committee’s ground game was certainly much improved from the 2012 drumming. They had people on the ground for the last two to three years in key areas of the country collecting data through canvassing neighborhoods, speaking with voters, doing away with phone banks and brick and mortar locations, and constantly updated their databases. Even the RNC had Trump losing by 30 electoral votes, but their approach and get out the vote operation helped in clinching his upset win since the Trump campaign had no ground game. Also, I guess we can thank the Clinton people for turning out the Trump voters who might have fallen through the cracks.